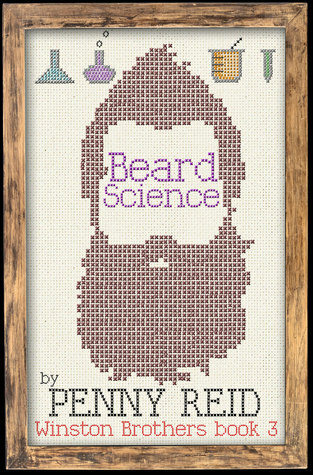 Beard Science is going into my 'favorites' pile. It's a MUST READ! It blew me away. I enjoyed reading Penny Reid's previous book, Grin and Beard It, but this was absolute perfection. Everyone just sees her as the Banana Cake Queen. People in her small town think she's simple minded with no backbone. Her mother dresses her up and puts her in front of cameras, and her father constantly puts her down. What people don't know is that Jennifer pays attention to everyone in town. She knows details about her neighbors just from sitting around unnoticed in the sidelines and listening. As a 22 year old woman, she's had enough. Jennifer wants to discover herself and make decisions for herself. She knows that Cletus Winston is more than a mechanic. He's dangerous, cunning, and calculating. And he's the perfect man to help her find herself. Cletus Winston is the most dangerous brother in the Winston clan. He has information on everyone, and he uses the information to get things done. As a puppet master, he has a plan for everything. But when Jennifer enters his life, he becomes fixated and addicted to her. Everything about this story is perfect. I loved the family gatherings, I loved the sausage jokes, and I loved all the precious moments. I can't wait to read the next books!